NYC Department For The Aging - R.A.I.N. 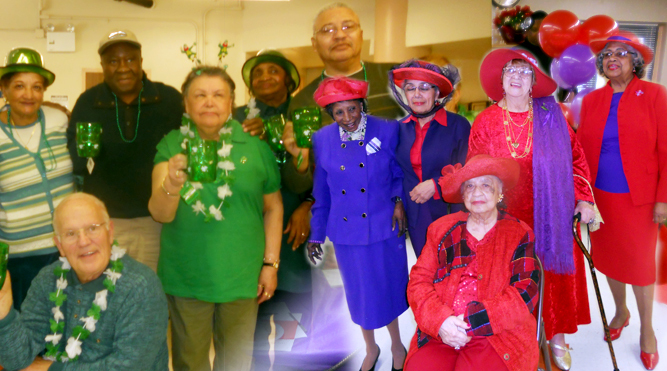 The mission of the Department for the Aging (DFTA) is "to work for the empowerment, independence, dignity and quality of life of New York City's diverse older adults and for the support of their families through advocacy, education and the coordination and delivery of services." As an agency of City Government and an Area Agency on Aging under the federal Administration on Aging, DFTA receives federal, state and city funds to provide essential services for seniors. It channels these monies to community-based organizations that contract with the Department to provide needed programs locally throughout the five boroughs. Hot meals and activities at senior centers, home-delivered meals, case management, home care, transportation and legal services are among the services these programs provide. DFTA manages the contracts with these programs and ensures service quality. DFTA also provides services directly through its Senior Employment Services Unit, Elderly Crime Victims Resource Center, Alzheimer's and Caregiver Resource Center, Foster Grandparent Program, Grandparent Resource Center, Health Insurance Information Counseling and Assistance Program, and Health Promotion Unit. The Department's community presentations and other public outreach activities educate New Yorkers on aging issues and on City services and resources for seniors and their families. Through testimony at public hearings and legislative advocacy, DFTA serves as a major voice for the concerns of New York's seniors.